Local authority fire and rescue services attended around 154,700 in England between April 2014 and March 2015. This was the second lowest statistic ever reported; beaten only by 2012/2013 which had above average rainfall levels, reducing the risk of outdoor fires. While these statistics are positive, fire is still a legitimate threat for homes and businesses. In the 2013/2014 period, the latest report which shows the divide between domestic and non-domestic buildings, there were still 22,000 workplace fires in Great Britain. Therefore it’s still crucial to increase fire safety awareness and take adequate preventative measures. 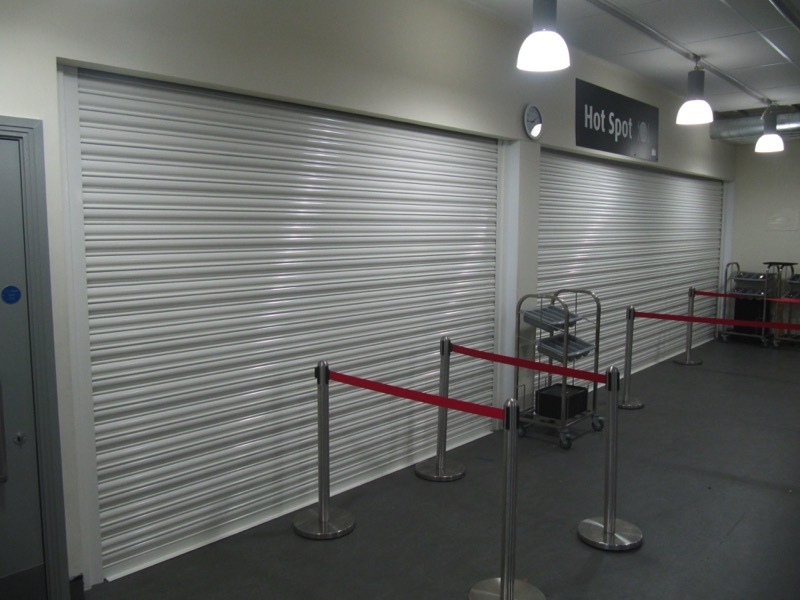 Fire shutters enable businesses to reduce the impact of a fire. They play a big part in compartmentalisation; containing the flames within a specified area and reducing the risk to life and property. They assist in the meeting of building regulations and commercial risk assessments, add an extra level of security, and can even reduce insurance premiums. When commercial property owners assess the potential cost of fire damage they often find that the cost of the shutters themselves is insignificant. 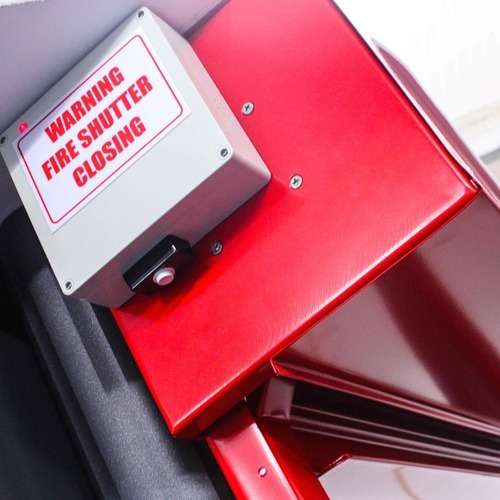 Government guidelines recognise the requirement for fire shutters. Their risk assessment for shops and offices advises to locate catering facilities, particularly those with deep fat fryers, in separate buildings. In many cases this isn’t possible, and therefore the document states that they “should be separated from the rest of the building by fire resisting construction”. 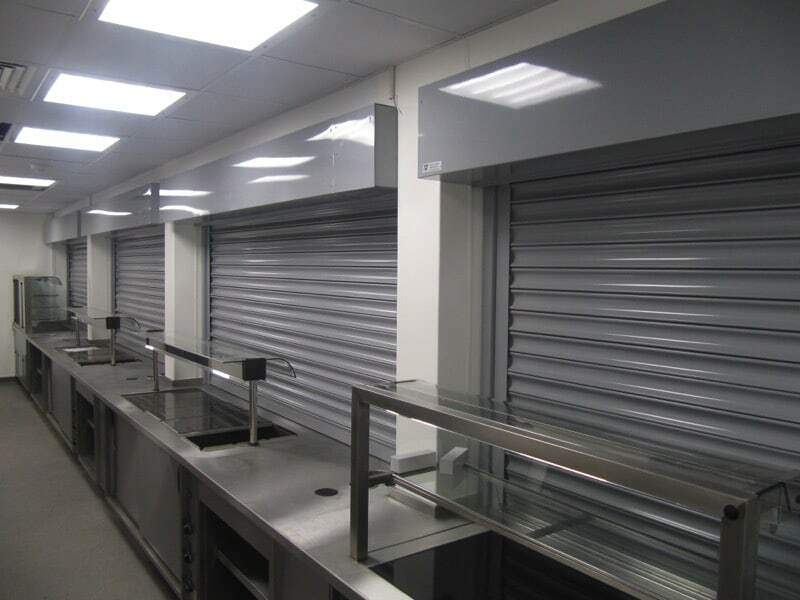 Fire shutters are therefore commonly integrated into the design of canteens and kitchens. Their use is not restricted to high risk rooms where there are obvious hazards present. Because they control the spread of fire throughout a building, they can be used anywhere. For example, enclosing both ends of a corridor will prevent flames from reaching other rooms. Fire shutters are more commonly required internally, but they can be installed externally too, just like other roller shutters. An externally awarded fire rating is essential, ideally from a globally recognised company such as Exova Warringtonfire. Fire shutters are usually rated by the number of hours of integrity they offer. If a shutter has a four hour rating, it is capable of withstanding flames for four hours. Request testing facility details and certificate numbers to confirm their ratings. The British Standard BS EN 1634 – 1, – 2 and -3, are additional tests for fire resistance and smoke control which are relevant to roller shutters. The Government advises that fire shutters can be operated both manually and by fusible link. A fusible link will cause the shutter to automatically close once it reaches a set temperature, without relying on human interaction. A shutter with an integrated fire interface panel also allows for automatic operation and can be incorporated into a building alarm system. This means the shutter curtain will descend even if the fire is not in the immediate vicinity, further preventing the spread of fire. Controlled closing will provide a steady speed, preventing the risk of injury caused by a free falling curtain. The fire shutter curtain isn’t the only part responsible for containing a fire. The barrel which the curtain winds onto can also provide a weakness if it isn’t taken into consideration. When it comes to larger shutters, larger barrels are heavier and therefore may drop in the event of a fire, leaving the opening unprotected. The solution is barrel support frames, which are designed to catch the barrel. A barrel support frame will be required when a shutter exceeds a certain size. Smaller barrels (used on smaller shutters) are lighter and therefore more likely to withstand high temperatures without dropping out. Regular, non fire-rated security shutters can also play a part in a fire risk assessment. If they have manual operation they can provide an additional escape route for small numbers of people in a normal risk area. Government guidelines also discuss wicket doors. 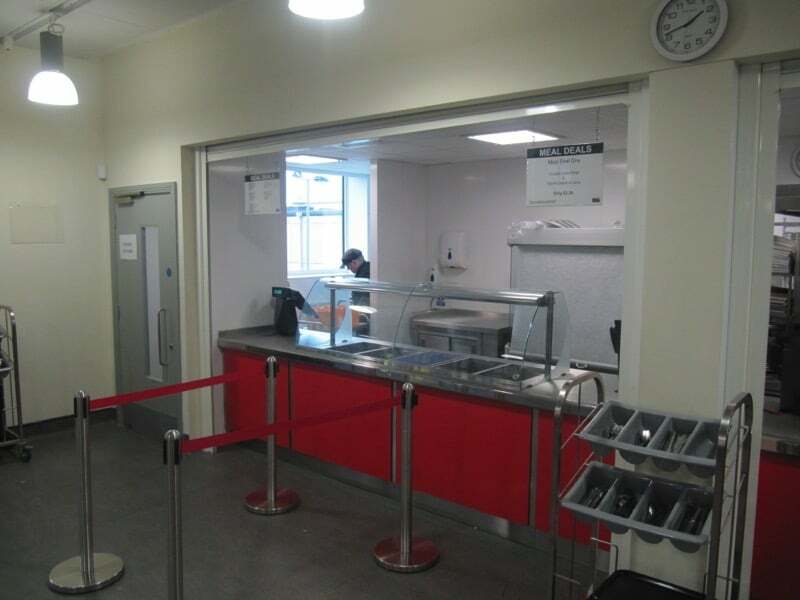 If they meet size requirements of 1.5m high and 500m wide, and are no more than 250mm from the floor, they can provide an approved emergency exit for small numbers of staff. A building maintenance plan should include proper servicing and testing of all roller shutters and fire shutters. This should be done alongside regular fire alarm tests and other routine maintenance.